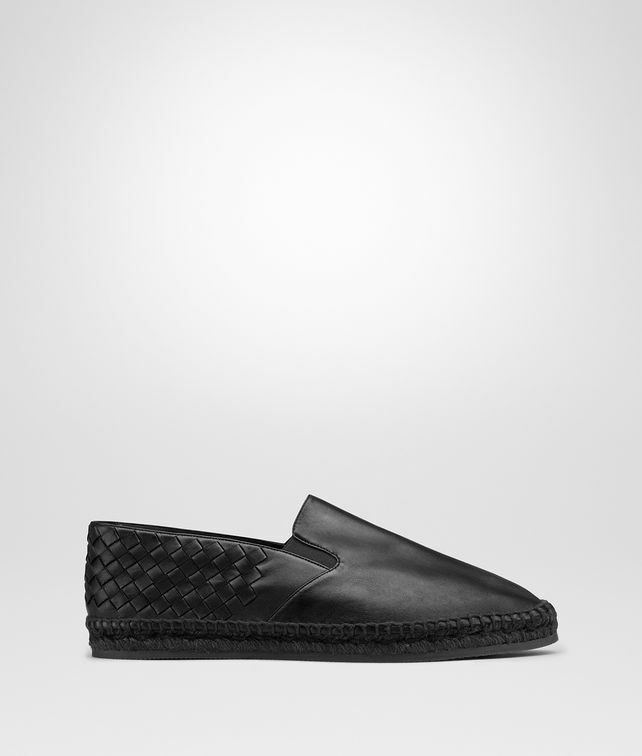 Soft nappa espadrilles traditionally hand-crafted in Spain. This classic design, featuring a black jute sole, is characterized by the contrast between the intrecciato heel and smooth leather tip. The rubber base provides extra grip and protection from water. Tone-on-tone stretch inserts make this low-key staple even more comfortable to wear.